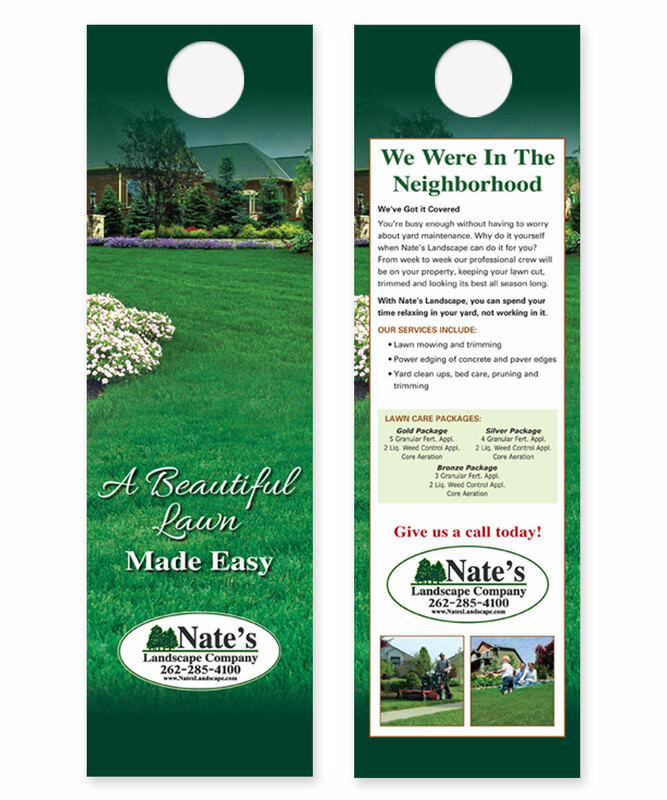 We can use your own photos, or any from our image library. 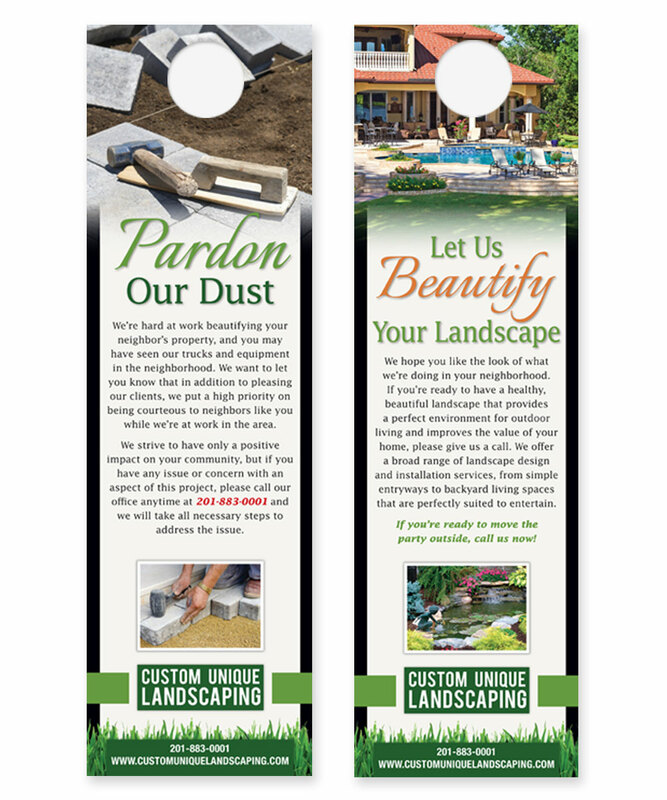 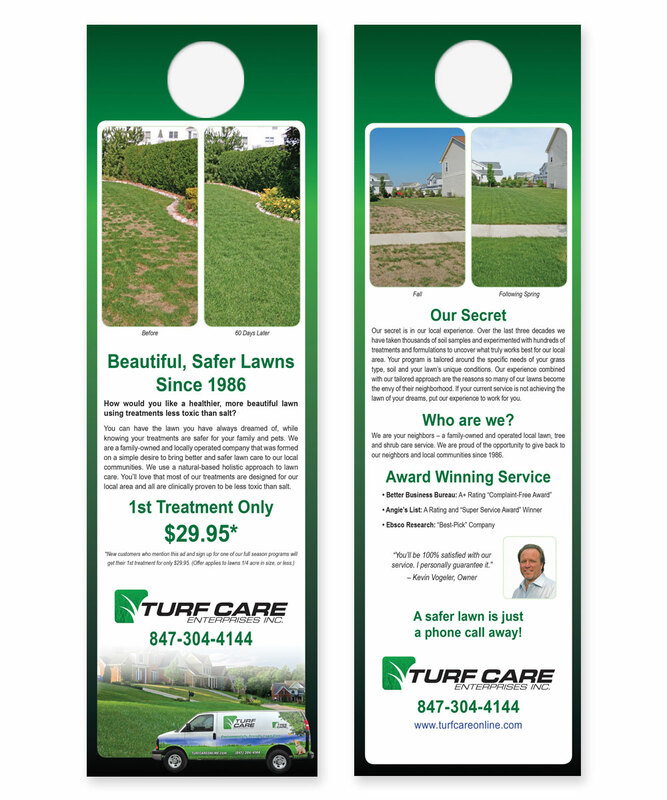 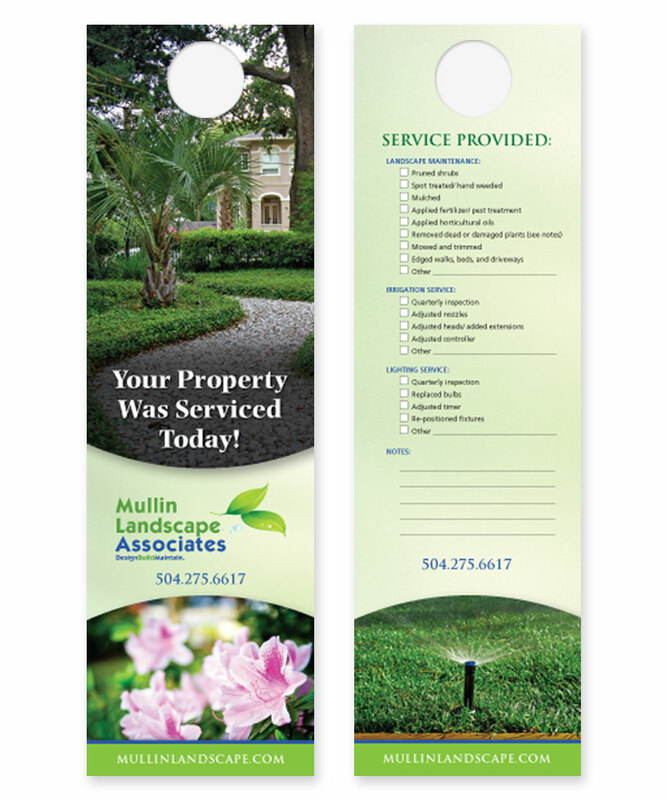 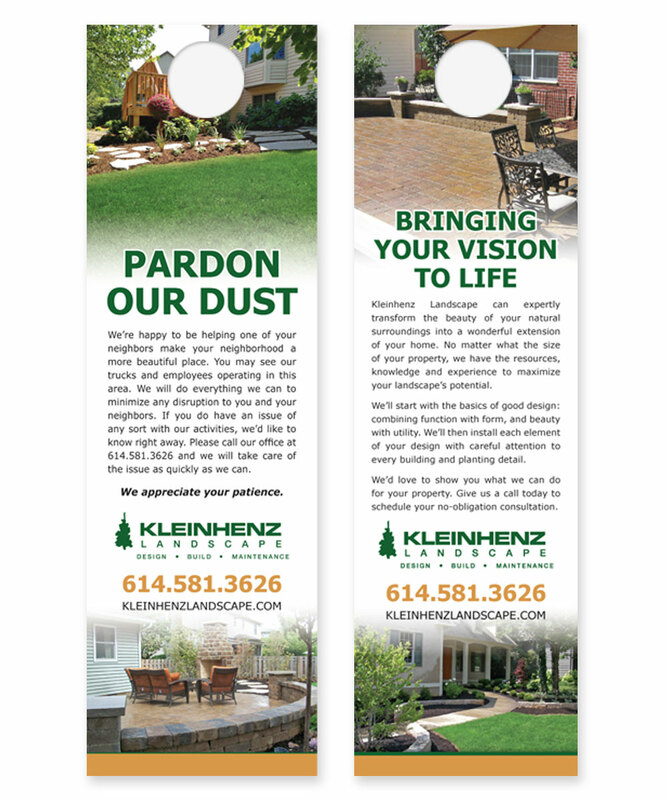 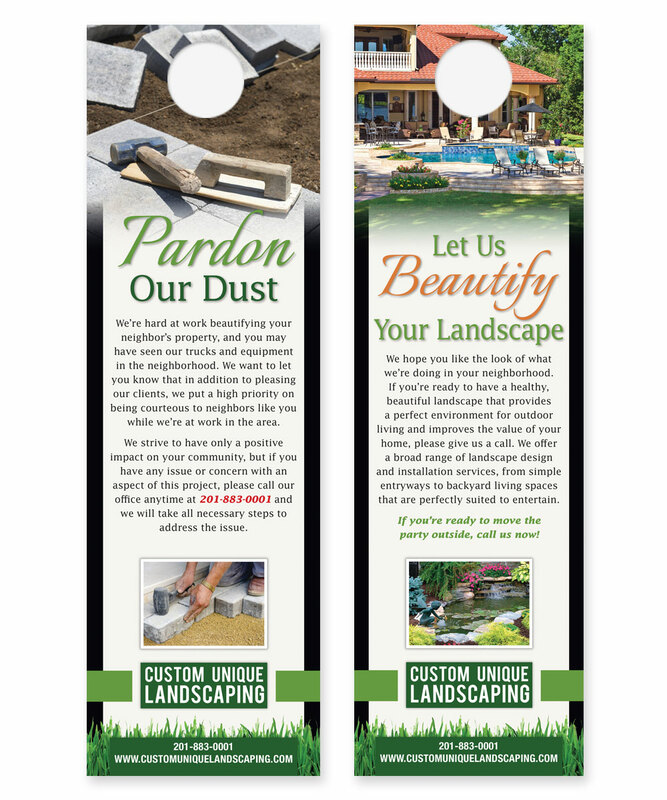 Our designers will create an eye-catching door hanger to promote any services you offer. 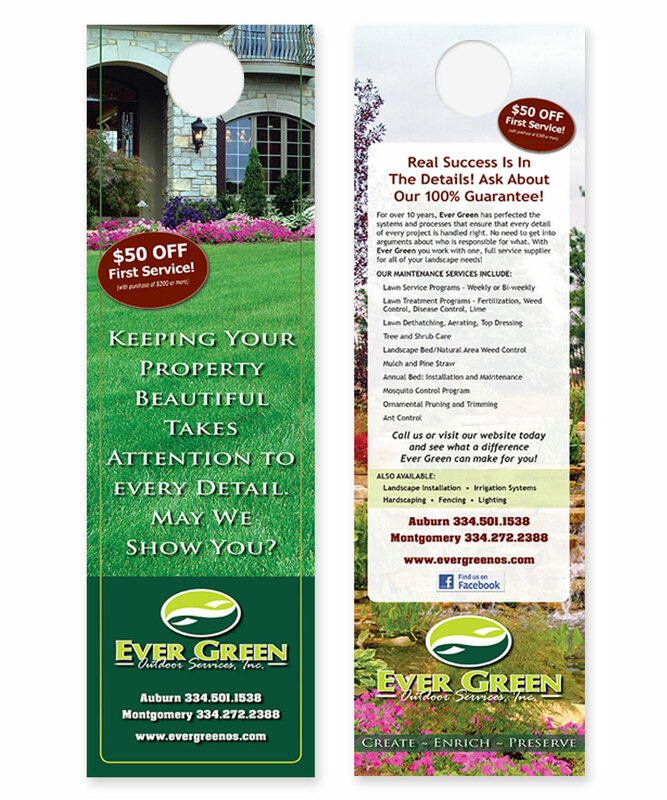 Heavy 16 pt. 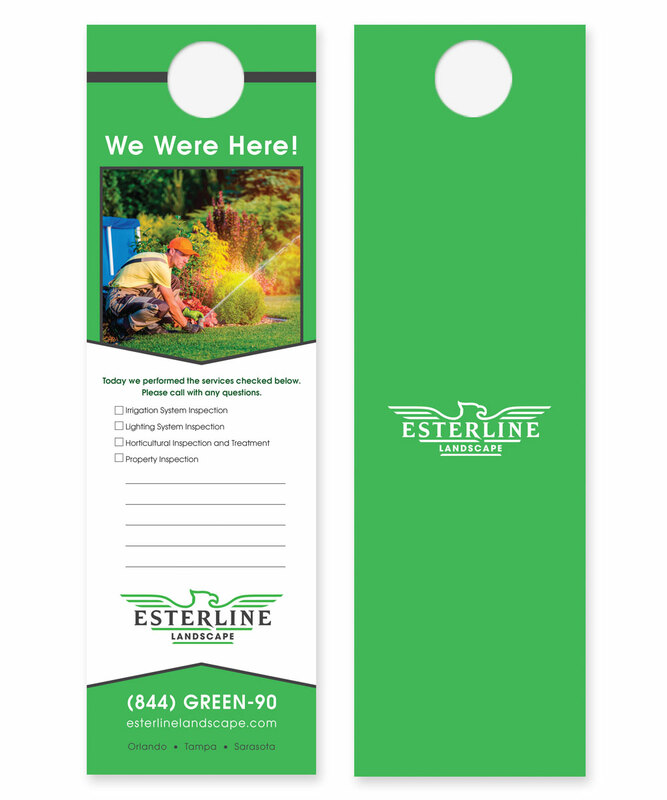 cover weight stock. 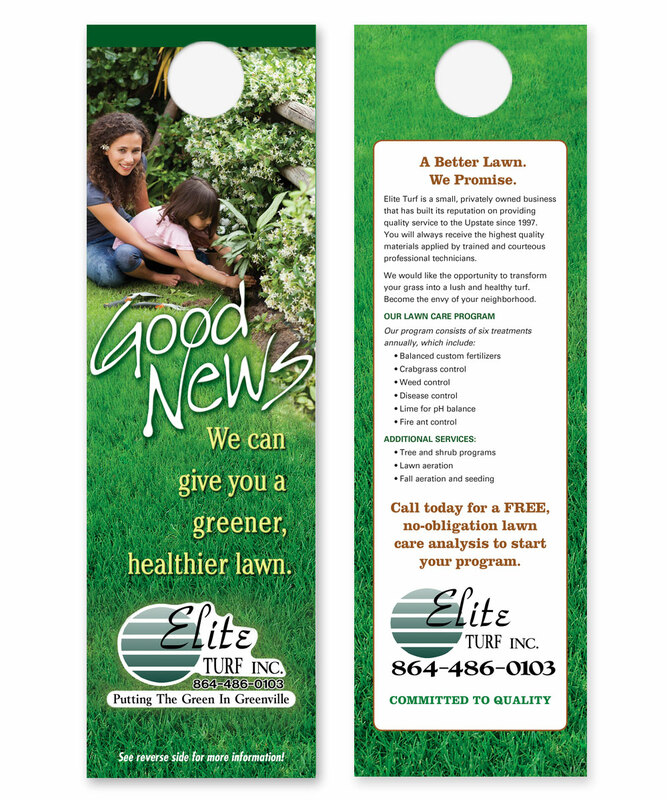 Price includes shipping to one U.S. location in the continental 48 states.